Luxurious kundan necklace set, in 22k gold plate & white; bejewelled with lustrous high quality laac kundan stones. Set includes: round necklace & Indian stud earrings. 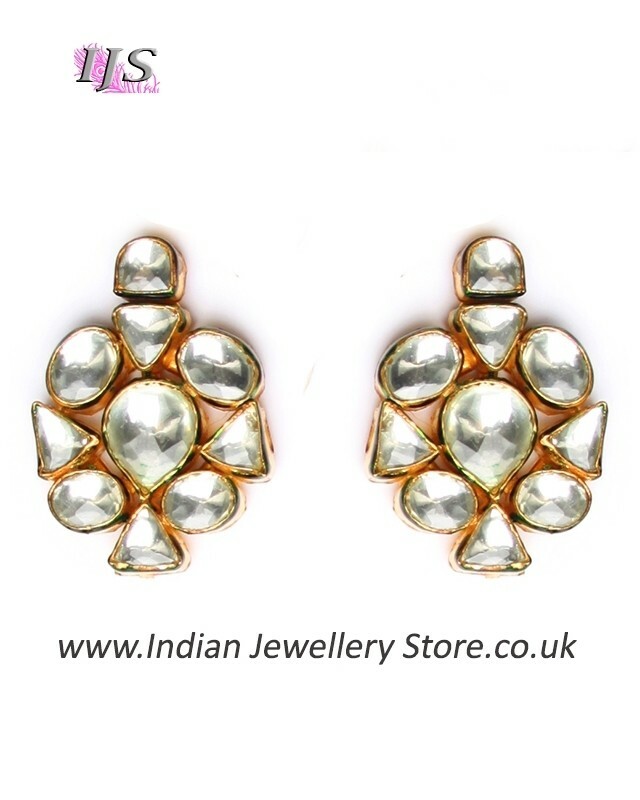 Matching Indian accessories available such as hath panjas, Indian rings or matha pattis. 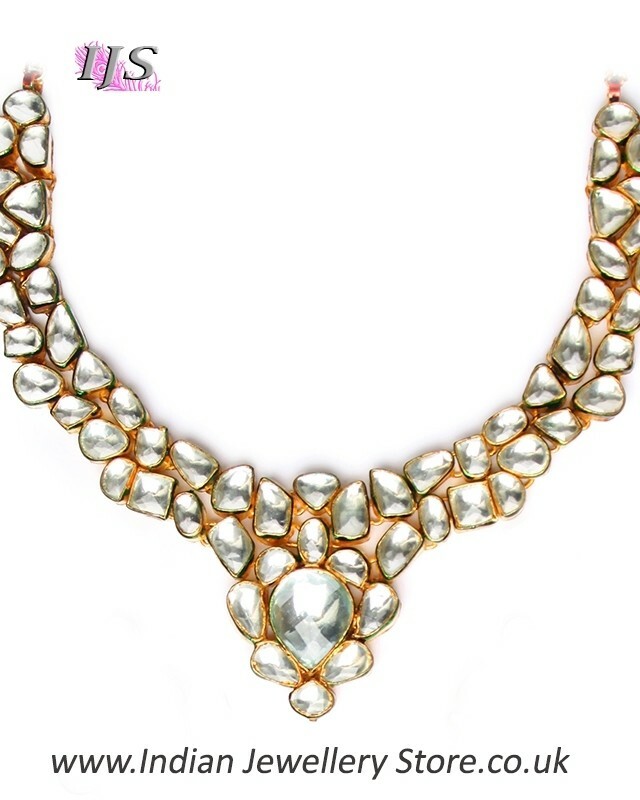 This Indian jewellery is hand crafted & of the highest quality. The necklace sits just at the base of the neck & when teamed with medium studs it's totally on point for this wedding season! Dimensions (max):- Round Indian necklace: chain is 1.8cm wide. Central decoration; 3.cm wide 4.8cm long. Indian stud earrings: 2.8cm widest point, 3.8cm long.